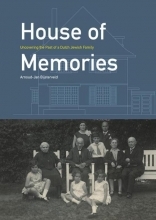 After the author bought a house in the Dutch town of Tilburg, he discovered that a Jewish couple, Hans and Bertha Polak-Cohen, had it built for their family in 1928. As this family`s history was gradually being uncovered, there was one tragic story that stood out: the story of Bertram Polak, the couple`s son. Bertram`s family lived in this house until all but one managed to flee when the Nazis invaded the Netherlands in May 1940: Bertram was the only one to stay behind. In December 1941, he tried to escape to England with three friends, was betrayed, and eventually killed in Auschwitz on 17 August 1942. This book relates this history and shows what happens in the process of uncovering a traumatic past, affecting both the family`s next generations and the historian involved.